To find the Real Jesus we must first understand why have we never forgotten Jesus? A rhetorical question because the obvious answer is that Jesus manifested a deep love that is also deepest within each one of us. To find the real Jesus ~ one must completely surrender to love ~ for only then will we be seeing through the heart; for only then will we sense and begin to understand that Jesus was the ultimate rebel ~ an evolutionary forerunner and spokesperson for a state of love and soul consciousness ( the Unified Field ) that lies deepest within us all. A state of consciousness that he surrendered to and found during his undocumented years from age 12 to 30 years old and most probably during his travels to India. Rumi new and wrote of this truth as seen in his poetry ~ “Out beyond ideas of wrongdoing and right doing there is a field. But what about the resurrection myth and the millions of people who base their faith on the resurrection stories, immaculate birth and other myths? But it is far more believable that Jesus appeared to his followers in an After-Death experience as millions of people have since experienced, including myself. This is not unusual now ~ but it most certainly was over 2000 years ago. Gallup has revealed that over half of all Americans believe that they have been in contact with someone who has died, including myself ~ usually a dead spouse or sibling who they shared a deep loving connection (In my case, my mother and my beloved twin) Another important point in Gallup’s study was that the major factor associated with contacting and experiencing the dead was a belief in a loving God, rather than a judgmental one. In that sense, Jesus represents the transition from an externalized old testament God of wrath and judgment to an internalized new testament god of love and a state of soul consciousness that lies deepest within ourselves. As I mentioned, my own mother appeared to me the night she suddenly and unexpectedly died in 1987 ~ some 3000 miles away. Not only did she tell me how deeply she loved me but she also said that she knew of this Unified Field of love and soul consciousness that I know and live ~ Allen, I Know, Allen, I Know .. I had sent her a copy of my Unified Field Theory some months prior to her death which can best be summed up in this one statement ~ The basic underlying and uniting force of the Universe is a psychic energy field of love and soul consciousness ( The Unified Field ) which lies not only beyond time and space but ALSO beneath our deepest fears and whose principle property is the universal urge to unite. So my mother appeared to me, much like Jesus did with his followers, and told me that she was now in that same state of unconditional love and soul consciousness which I call The Unified Field, thus ~ Allen, I Know, Allen, I Know ..
Did Jesus not do the very same thing when he appeared to his followers after his death ~ proving to them that the kingdom of heaven was within them in the form of a state of love and soul consciousness that exists not only beyond time and space but also beneath their deepest fears. It makes sense that Jesus as a young child, after a normal birth, sensed his destiny and traveled elsewhere in a quest to not only find himself but to get in sync with his destiny. 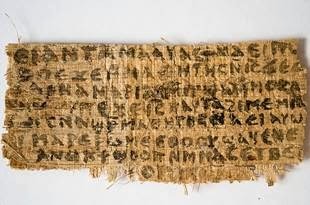 Several authors have claimed to have found proof of the existence of manuscripts in India and Tibet that support the belief that Jesus was in India during that time in his life. Some assert that Jesus lived the life of a Buddhist and taught Buddhist ideals to his disciples. Their work follows in the footsteps of the Oxford New Testament scholar Barnett Hillman Streeter, who established in the 1930s that the moral teaching of the Buddha has four remarkable resemblances to the Sermon on the Mount. So let’s say that Jesus, like many of us, was originally looking outside for God and true meaning in his life and towards the end of those 18 years realized that what he was externally looking for was instead deepest within himself ~ a love, a state of soul consciousness and a kingdom of heaven so deep that it existed beyond time and space and it was calling him to service. Imagine him returning home armed with this burning cause ~ a heartfelt knowledge and eager to share this truth with friends, neighbors and disciples and then also imagine his shock of witnessing the decadent Roman culture and externalized world that existed at that time ~ which eventually became threatened by his teachings and rebelled against his message of love, inner freedom and individual empowerment. It was then that he became Jesus Christ, the lonely but unorthodox revolutionary, spreading his message of love and touching a loving chord that has never been forgotten because it also exists deepest within each one of us ~ regardless of how well hidden it is under blankets of unworthiness and self-doubt. 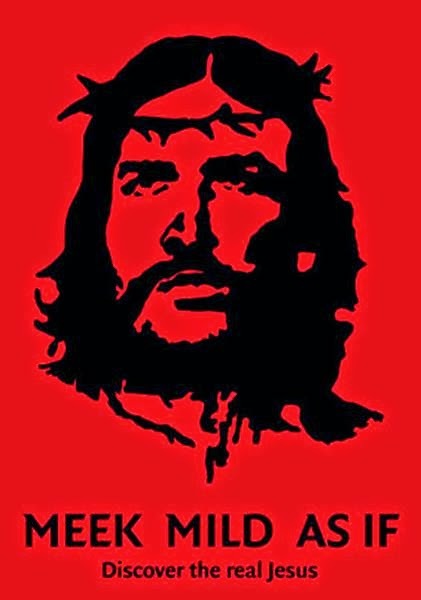 Today, Jesus would be considered a rebel, and most certainly a threat to the establishment empire and the status quo ~ as he most certainly was 2000 years ago. Indeed, Jesus was the ultimate rebel but Jesus has been disguised, misused and misinterpreted for thousands of years and is still being misunderstood under the current banner of Christianity. Substitute the word emperor with the Pope and you get the current big picture of how Christianity has been misused and with 80% of the American military being Christian ~ are we not still fighting the crusades against the media labeled primitive, fanatically religious, Middle East Muslim Terrorists ~ when in reality they are our brothers and sisters barely surviving in illegally occupied and economically ravaged countries. So much for Christianity, let’s get back to Jesus ~ the lonely rebel for love who still calls to us from deepest within ourselves to fully open our hearts and join him on the path or Way of the heart. It is my contention that Jesus did not die for us (contrary to the Catholic church) but, instead LIVED for us ~ for he was indeed a determined revolutionary and an evolutionary forerunner for a state of love and soul consciousness which is also deepest within each one of us ( the Unified Field ) ~ a state of love and soul consciousness that exists beyond time and space and is one in the same with the experience of an after death and near death experience. Jesus was a definitive threat to the establishment and they, in essence, eventually killed the messenger ~ just like they did with Gandhi and Martin Luther King Jr.
For those of you who are still waiting for Christ’s return, I will tell you to look within, for it is there that he resides in our deepest propensity to unite with and love one another ~ and we all have a part to play in that gradually unfolding loving plan. Jesus wasn’t just a rebel. He was the ultimate rebel. And now his call, “Follow me,” seems a whole lot more radical because what he really means is go inside, open your heart and find and travel the path or WAY of your heart. 81% of Americans say they are Christians which is now the world’s largest faith ~ with 2 billion believers or roughly 33% of the earth’s population. Newsweek reveals that 75% of them say that Jesus was sent to earth to absolve mankind of its sins. Jesus was not sent from anywhere for Jesus was divinely human ~ no different than you or myself at birth ~ and the humanizing of Jesus is an essential step in the journey towards taking responsibility for that same love deepest within each one of us ~ just as Jesus did. As such, the natural birth of Jesus and the loving relationship of Jesus and Mary Magdalene completely humanizes Jesus, takes him off the unreachable pedestal the Catholic Church and others have put him on ~ and makes him finally accessible to the world through love and Relationship. And why not? It makes total sense to me that in the much needed process of humanizing Jesus, that we discover that he was in relationship and used that love to perfect himself as many of us have in relationship. Teilhard de Chardin said it beautifully ~ The only right love is that between couples whose passion leads them both, one through the other, to a higher possession of their being….. Union, the true upward union in the spirit, ends by establishing the elements it dominates in their own perfection. We all have a personal covenant with Jesus in our capacity to unconditionally love one another as he manifested that love in his life. It is my potential to love as Jesus loved that fills me with faith ~ not the immaculate conception, resurrection story and other church and institutional myths. But The Way is the lonely path from the mind to the heart and it is indeed the hero’s path ~ for it will bring us face to face with our deepest fears. And it is the fuel for my heart centered consultations with all my clients and especially combat veterans with PTSD ~ who have faced their deepest fears in combat and are now ready to embrace and defeat the fears of their heart through love and gratefulness. In summary, to find the real Jesus, you must open your heart and fully surrender to love ~ for when you walk in love, you will be walking with Jesus, Buddha, Mohammed, Gandhi, King and all the other great and noble souls of this planet . This Newsletter and Website is gratefully sustained through donations from people like yourself. If inclined, please send check, Money Order or PayPal donation to Allen L. Roland, PO Box 4094, Antioch, Ca 94531 (Go to Website for PayPal connection allenroland.com) Thank you for your readership and generosity.